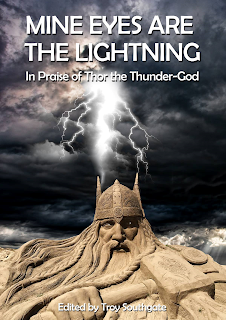 THE scourge of lumbering giants and monsters from the unfathomable ocean depths, mighty sentinel of the unpredictable firmament, Thor has fired the North European imagination for many centuries and his popularity is now greater than ever before. Wielding his mighty hammer, Mjölnir, this formidable god of the deafening thunderclap and fearsome lightning-strike is often portrayed as a very one-dimensional entity who is prone to the occasional disaster. 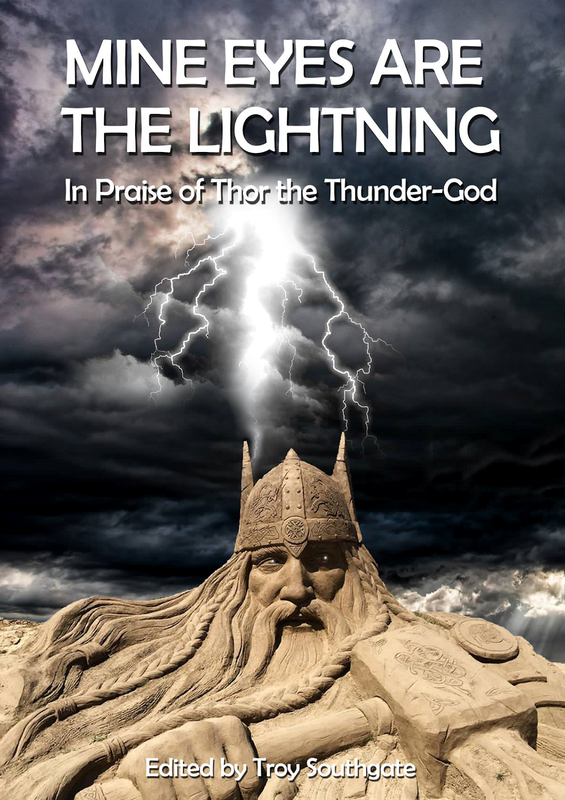 This volume seeks to explore the comparatively more complex and multi-faceted nature of Asgard's famous storm-bringer, taking him beyond the realms of popular culture and restoring him to his rightful place at the heart of Germanic mythology. Chapters include Materfamilias: Thor's Earth-Mother (Troy Southgate), Contemporary Understandings of Thor's Hammer Amulets in the Asatru Movement (Richard Rudgley), The Axe-God and Hammer-God (Wulf Ingessunu), Thor: Ancient Truth and Modern Myth (Richard J. Levy), The Attributes of Thor (Piercarlo Bormida), Thor the Giant-Slayer: Last Bastion of Paganism (Alessandro Revan), Thor: The Hero-God with a Thousand Faces (Chad Crowley), Thunor, Friend of Farmer (Gregory Elliott), God of the Working Class (Wyatt Kaldenberg), The Ragnarok 'MetaThor' (Colin S. Lockwood), The Worship of Thor in England (Osred) and Thor the Drengr: Divine Embodiment of "Manliness" (Alessandro Revan). 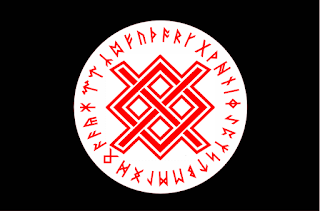 The 2019 issue will be based solely on the Ar-Kan Rune-Lag system and the Ar-Kan Runes. This will form a sound base for anyone who wishes to work with the Ar-Kan Runes. This is published by Woden's Folk and I hope to cram as much information into this magazine as I possibly can. 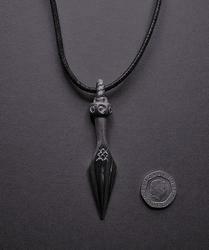 The rune-row will be featured together with the rune-meanings. The system of Runic Postures together with the Runic Gealdor that goes with these. How to make a set of runes, a runic wand, and a runic staff. How to use the runes as a daily spiritual exercise. How to use these as a form of flowing-postures where the runes are bound together and flow together. I intend to put together all new material for this, which will naturally take time, but the aim is to complement the Ar-Kan Rune-Lag book published by Black Front Press and not to go over the same things again. This is why I have decided to publish it whenever it is finished and ensure that everything within this is new and not stuff we have gone over before. 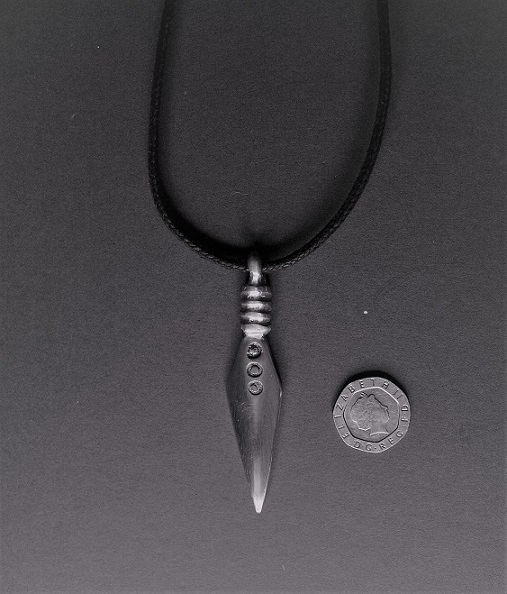 This spear amulet was found in Kent in the Sixth Century CE; this is a replica from WyrdArt (Scyld) made from pewter and the size can be seen from the 20p piece. Another silver-pewter version which has the Gar-Rune engraved upon it. Again this is an excellent piece of work from WyrdArt. Both can be got from WyrdArt website. Support our own through buying your stuff from here. These would make excellent presents for our Folk.